How does an oil lose some of it’s viscosity in an engine? Synthetic oils do not rely as much on special Viscosity Index Improver additives and will experience little permanent viscosity loss. The shear stability of an oil is measured by using both ASTM test methods D445 and D5275. First, the viscosity of an engine oil is measured. Then, the oil is exposed to severe shearing conditions by repeatedly pumping it through a specially-sized diesel fuel injection nozzle at high pressure. After shearing the oil, its viscosity is measured again. The percentage of viscosity lost is determined by comparing the second viscosity measurement with the original viscosity measurement. Although there are no specifications indicating required levels of shear stability for engine oils, lower percentages mean that an oil is more shear stable and will retain its viscosity better during operation. Over head cam squeezes against the lifters causing oil to shear the oils film. 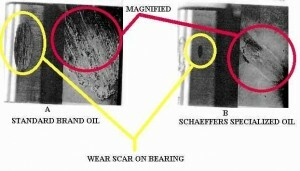 Below Oil is being sheared or squeezed out momentarily around the rings, also when the piston pushes down against the crank, it squeezes out the film around the top rod bearing allowing the bearings to scuff or wear. 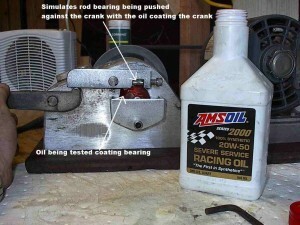 What does this shearing do to your oil and engine in the long term? When the oil film is sheared or squeezed out, then your protection is now reliant on barrier lubricant additives. 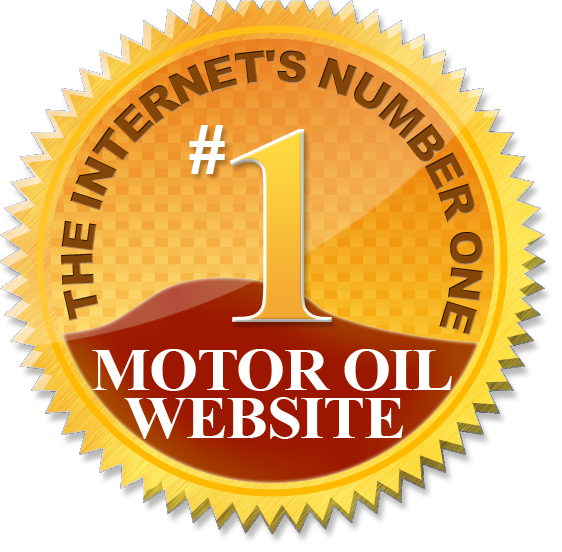 Oil has 3 states of lubrication, hydrodynamic, mixed film, and boundary(barrier). The best is hydrodynamic which is nothing more than a flow of oil separating two mating surfaces. After a period of time shearing, the oil will lose it’s ability to hold up to the same flow as before since the VI Improvers are breaking down causing the oil to thin down in grade. Once this happens, there is less film strength between the mating surfaces so it doesn’t take as much for the oil to shear, therefore creating more heat which attacks the base oil even more and then starts to cause the oil to thicken up due to the excessive levels of heat and the broken down VI Improvers become a contaminant which added to the existing oil will continue to thicken and ultimately cause sludge if not changed in a reasonable time..
A lot of people believe that a full synthetic oil can protect better than a mineral based oil. Lets look at that scenario. If you have a 10W-30 mineral oil, that means your base oil has measured to flow between 9.30-12.49 Cst’s @ 100°C. If you take a synthetic 10W-30 base oil, that means your base oil(synthetic) has also measured to flow between the same 9.30-12.49 Cst’s @ 100°C. Follow me so far?, so we now know both oils have the same basic oil flow properties as each other which means that they are pretty much equal in flow. So now you have either one in your engine and you step on the gas, and you take off. Oil is in the piston rod bearing right? (at least it better be!) But when the piston pushes down on the crank as illustrated above, it shears or squeezes the oil out momentarily. So, if both oils flow at the same speed, Then which one is staying in there longer and protects better? Basic fundamentals is, that when pressure is applied something has to give, right? So the oil is going to squeeze out, at what speed? approx. the same speed since both have measured the same and are rated the same. 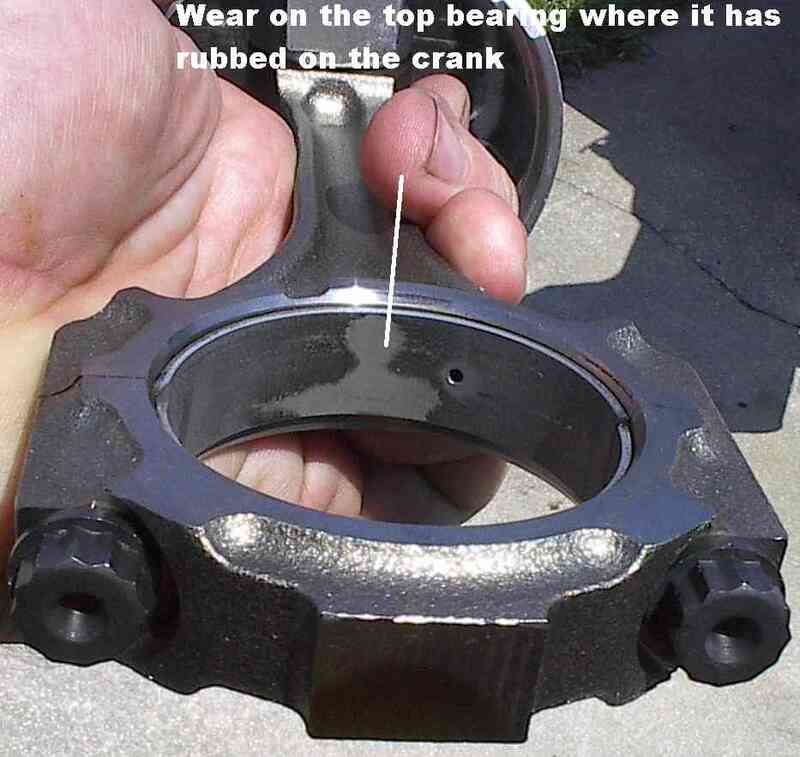 Kinda neat!, What this shows is that when the piston is forced down from the explosion created by your spark plug a lot of pressure is being applied through the upper rod bearing against the crank to make the engine go. Now when the piston is on the up stroke, the other pistons are pushing the crank around so there is no real pressure on the bottom causing the oil to shear or squeeze out on the bottom bearing so there is very little wear against the bottom. So what does protect your engine when the hydrodynamic film is sheared? After the base oil has sheared or squeezed out, The last line of defense is an additive that puts down a barrier film. This additive usually has higher levels of strength against shearing so it helps keep the wear down. Alright, here’s the catch. In 96, the lubrication industry changed from the SH to SJ API rated oil by reducing the barrier lubricant additives to help preserve cat converters on cars. Why?, It appears that the manufactures / lubrication experts are concerned with contaminating the cat converters with the standard antiwear additives in the motor oils so they have reduced the levels of antiwear additives to preserve the cats. Hmmm, guess what, When they introduced the new SL GF-3 oils, They left it the same. Ok, not out of the woods yet… Now the new GF-4 oils are in the works in hopes to be introduced next year around April. Have a guess one of the things they are going to do?, YEP, reduce the current antiwear additives again. The interesting thing to note is that more and more oil companies are coming out with higher mileage motor oils with higher levels of the antiwear additives. Catch is, they are not API certified there fore can void engine warr’s. Remember all those additive companies selling their miracle oil ? For some of them, they were doing nothing more than adding a barrier additive to your existing oil. Problem there, too much of a good thing can cause it to overload the blend that the oil company started with, so a lot of times the detergents in the oil are not able to do their job and fight acids produced by the engine, there fore the oil will oxidize faster and start the process of breakdown and extended oil drains are out of the question. not to mention engine warr issues again. Guess what a good race oil has… higher levels of antiwear and less detergents. Since they don’t run race oils over the road, their not worried about oil drains. They change it constantly. To simulate the shearing effect with different types of oils, I use an old snake oil additive salesman machine called a Timken machine. 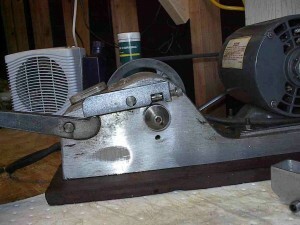 This machine was and is used only by oil additive companies only. I have not seen any oil company (except one) that will demonstrate how well their oil will hold up on this machine. This machine can give you an idea of how an oil will react under a shearing condition. Barrier lube properties of an oil is not the only part that is important, but should not be ignored either! Of course I have people stress that this is not a valid test. Well, I’d have to agree. We are talking about a basic test you can put your hands on and feel for your self. This machine is a great way for you to play around with oils and greases to see how barrier properties affect wear and what it takes to break the hydrodynamic film strength of any oil. 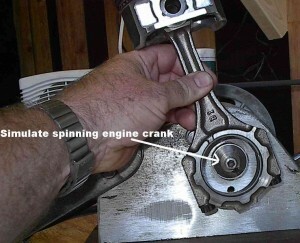 The basic principle behind this is the rotating bearing race is like the crank in an engine. So to simulate how it looks, you put your test oil in the little pan (like oil pan on car), turn on, then apply pressure to the lever until you squeeze out the fluid and stop the machine from rotating. 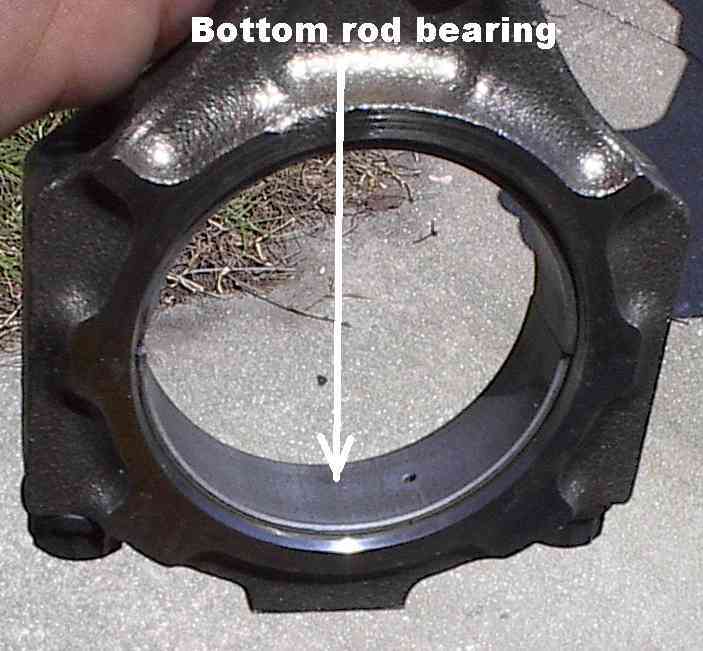 Here is what you will see after you pull the bearing’s off and see how some oils will actually shear right down to the bearing very easily whereas others with higher levels of barrier lubrication provides less wear and in some cases cannot be stopped with the lever. Base stock oils (especially the newer GF-3 SL) have better resistance to heat like a synthetic does. The higher the spread between the bottom number and the top number the more VI improvers are relied on for maintaining the viscosity. Better to keep the numbers closer. All base oils film strength will shear under stress or pressure. The real way to help prevent wear is to maintain higher levels of antiwear additives This in conjunction with a good base stock which resists breakdown to high heat.